The Scholastic Clay Target Program (SCTP) is partnering with the Kids & Clays Foundation to hold a registered two-day sporting clays charity event at the Cardinal Shooting Center in Marengo, Ohio. The event will be held Friday and Saturday, July 20-21, during SSSF’s Scholastic Clay Target Program National Championships. The event is open to the public, parents, and coaches of athletes attending the SCTP Nationals, as well as the athletes themselves. All registrants for the event will be entered into a drawing for a large prize package of firearms and outdoor and shooting gear worth more than $14,000. Prizes, donated by many great sponsors, are listed below. Click here to sign up for this event today. See registration instructions. You can also download the registration form, complete it, and follow the instructions for submission. 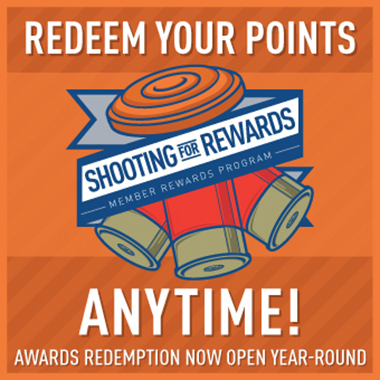 The Scholastic Shooting Sports Foundation (SSSF) is the nation’s leader in youth development shooting sports programs. The Kids & Clays Foundation supports a series of shooting events across the country with all proceeds benefiting Ronald McDonald House Charities. All proceeds from this special two-day event will help each organization fulfill their mission. For more details on the special two-day sporting clays event or for more information on the SSSF’s Scholastic Clay Target Program, visit www.sssfonline.org or contact Amanda Wondrash at awondrash@sssfonline.com or Tom Wondrash at twondrash@sssfonline.com. For more information about the Kids & Clays Foundation, visit www.kidsandclays.com or contact Doug Jeanneret (Doug@kidsandclays.com) or Zac Lemmon (Zac@kidsandclays.com) or call 219-874-2100.